Why does vitamin c have to be applied in the evening? What would be a maintenance regime after the first 18 months? What do you recomend for an Atrophic scar on the Left cheek only? 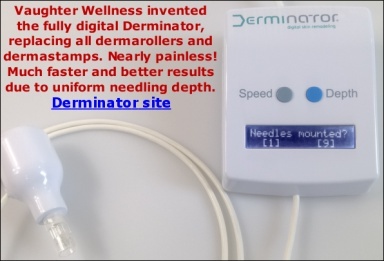 Can dermarolling diminish the redness of a scar? A-Ret cream 0.05% more creamy and oily? Small or large dermastamp for on my cheeks? Correct needle size for use on face? Copper Peptide Serum as regular moisturizer? Can Prescription Retin-A Be Used in Regimen?